While we as a species should be angry when corporations and governments take chances with our lives, like in the current Gulf Oil Spill, this kind of behavior should come as no surprise. In fact, organizations around the world have created some truly horrific catastrophes that they’d like to pretend never happened. 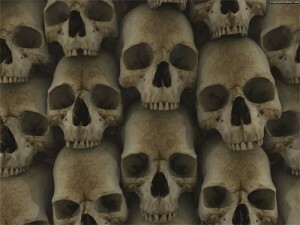 Enjoy this shocking look at the dark side of greed. You can tell that this is going to be an intense article when the least catastrophic disaster mentioned is the accidental draining of an entire lake. It probably won’t shock you to hear that this slip up was caused by the oil industry, Texaco in particular. On November 20 1980, the date of the accident, the Diamond Crystal Salt Company was operating a salt mine beneath Lake Peigneur. The day was going just like any other, when a Texaco oil rig miscalculated its location and began drilling in search of oil. As soon as a 14-inch (36 cm) drill bit breached the salt layer the water began to dissolve its way through the mine, rapidly expanding the hole as it flowed. What began is a relative trickle soon turned into a massive, swirling, vortex as the water broke upon the vast chasms that had been mined over the years. 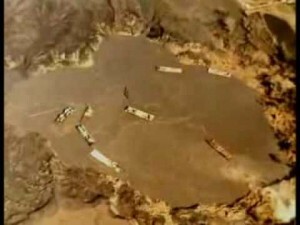 The water carved out such a large area that the formerly 10 foot deep lake almost immediately swallowed the oil rig and 11 barges into the whirlpool. The damage didn’t stop there, the lakebed began flowing into the hole as well, taking 65 acres of the surrounding land down with it. So much water flowed into that hole that it actually reversed the flow of the Gulf of Mexico and turned a freshwater lake into a deep saltwater lake and radically changed the local ecosystem. If you think an industry would learn to plan for the worst after a catastrophe of this magnitude, the next disaster will definitely napalm your ignorance. On April 20th 2010 an explosion tore through the British Petroleum drilling rig Deepwater Horizon, claiming the lives of 11 crewmembers and rupturing the oil well, releasing an estimated 180 million gallons of oil to date (that’s a Valdez-worth of oil every four days). 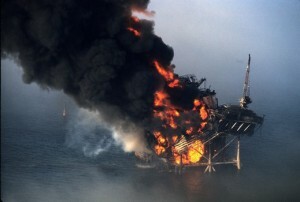 British Petroleum (BP) was slow to respond, but despite the corporate attitude BP was exhibiting towards the incident, the US Federal Government left the response in the hands of the corporation. 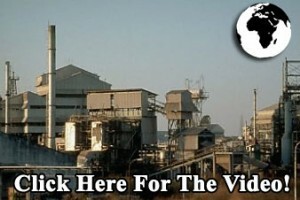 The intention was to instill a sense of accountability into an industry notorious for dumping its issues on tax payers. While it is almost universally agreed that the oil industry should be responsible for repairing the ills they inflict upon the environment, this lack of government intervention did nothing to stem the 1.5 million gallons a day that were leaking into the gulf. Investigations into BP show that a corporate culture of cost reduction and a work-until-failure program that left knowingly faulty equipment in place until a catastrophic failure, purely with the intention of postponing the cost of a replacement. On the reverse, a look at the American culture shows a dangerously fiendish addiction to cheap oil and a willingness to mine anywhere for these chemicals despite the potential risks of doing so. The use of dispersant is also a controversial one, as it has done nothing to actually remove the toxic chemicals from the environment. 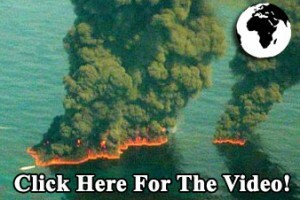 In fact, the 1.3 million gallons released into the gulf has simply hidden the true extent of the spill. That’s right – the spill is a lot worse than it seems. Dispersants allow the oil to mix with water, whereas it has the natural tendency to float on top of it. This has actually impeded the cleanup efforts as it renders simmers useless. Skimmer technology is based on shaving the top layer of water and grabbing/absorbing the oil that has floated to the top, which would work a lot more effectively if the oil wasn’t blended into the water itself. 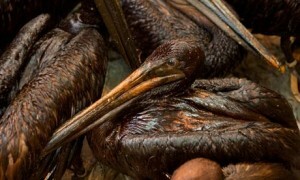 Although the leaking well appears to be capped there could already be almost 200 million gallons of oil already drifting through the gulf posing a dire threat to the lives, and livelihoods, of the people living in the gulf states and countless birds, fish, dolphins and whales. 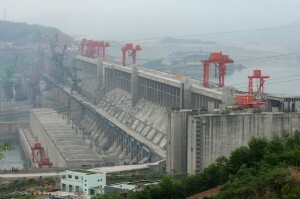 Once heralded as a potential cure for China’s growing energy crisis, The Three Gorges Dam project, a massive hydroelectric dam on the Yangtze River, has instead created several crises of its own. The direct impact to Humans living in the region was massive. As of June 2008, China had relocated 1.24 million residents and are now encouraging an additional 4 million to evacuate the region amid warnings of an “environmental catastrophe”. Entire cities have been abandoned, and countless ancient relics have also been lost to the rising tides. On top of these massive issues, the environmental consequences have been horrific. Desertification, salination and erosion are now running rampant. 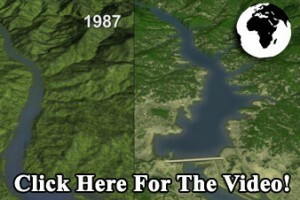 These photos show the amount of land degraded in just the immediate area around the dam itself! Not all of the damage is restricted to the inland regions; River deltas (coastal regions where rivers meet a larger body of water) make some of the best fishing waters in the entire world as nutrients get picked up in the water as it moves downstream. This nutritious sediment, the base of the coastal food-chain, is blocked by the dam literally starving China’s fisheries. These issues are not just striking China but the entirety of Asia that now has to take on the burden of greater food shortages and having their waters more intensely fished. At least the Chinese government has now witnessed first-hand the catastrophic impacts of this type of construction and are now working to remedy the situation … oh wait, they’re not. 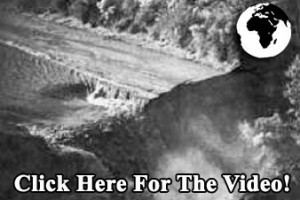 It turns out they have plans for 4 more massive dams even further upstream. 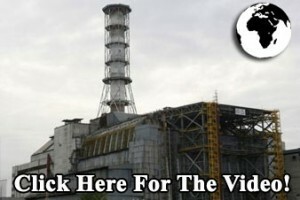 It should come as no surprise that the Chernobyl incident, the world’s worst nuclear accident to date, has made it onto our list. 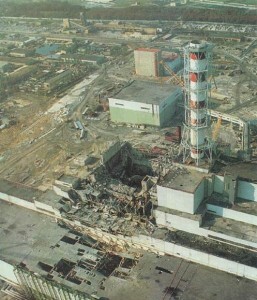 On 26 April 1986, in the energy town of Chernobyl, an experiment was underway in reactor four of their nuclear power plant. Testing and continual construction was something the staff had grown accustomed to. Slated to become the world’s largest nuclear powerplant, it was the pride of the Soviet Union’s energy program. As this day would unfold, the experiment would rapidly spiral out of control. During the test, sensors picked up a massive energy spike in the reactant mass. Although this issue was not expected there were emergency systems in place for handling crises situations. The staff on duty initially did what their training dictated – flicking the release switch to plunge the uranium rods back into their water coolant tanks. This should have been the end of the situation but was in fact just the beginning. The rods began to descend, but as their graphite coated tips struck the water a set of unlikely conditions lined up that created an even more massive burst of thermal energy upon contact. This surge shattered the radioactive rods and stopped the control system from submerging them completely. Left uncooled, these rods reached tremendous temperatures (producing over 10x the normal rate of electricity) until finally causing the reactor chamber itself to explode. In an attempt to shirk responsibility it took days for the government to become fully aware of the situation and begin remedial action, leaving the reactant mass burning the entire time. The smoke of that fire contained four hundred times more radioactive material than was released by the atomic bombing of Hiroshima, causing large areas in the Ukraine, Belarus, and Russia to be evacuated (with over 336,000 people resettled) and drastically increasing the risk of cancer to the 600,000+ people exposed. The night of December 2nd, 1984 is a night that will haunt the dreams of Indians for generations to come. 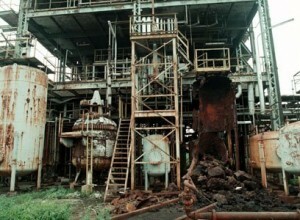 Around midnight there were strange things afoot at the Union Carbide pesticide plant in Bhopal, India. Mysteriously, a large amount of water entered storage tank 610, a which was being used to store over 42 tons of methyl isocyanate (a highly toxic and irritating material used in the making of pesticides). The intake of water resulted in an exothermic reaction and increased the temperature inside the tank to over 200 °C , far beyond the capacities of the tank. At this point automated emergency release systems kicked in, venting the extra pressure (and a large volume of gasses). As methyl isocyanate is heavier than air, it crept along the ground and seeped into the nearby city of Bhopal. The citizens awoke in agony and in panic, as approximately 8,000 people died immediately from the effects of the gas and countless more were trampled in the streets. In total, over 16,000 people would die as a direct result of that fateful night while another 100,000 to 200,000 people are estimated to have suffered permanent injuries.